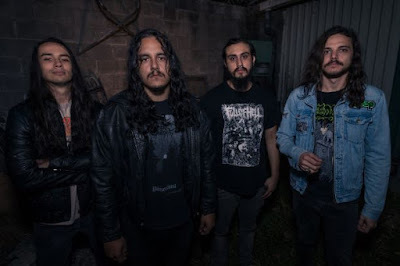 The Sludgelord: The Sludgelord News : MENACE unveil new video! "We are trying to raise funding and support for Marina Loskutova, a Ukranian child and sports champion with kidney cancer", explains Mitch. "Marina has qualified for treatment in the UK, and so far we have managed to raise 68,000 Euros already, which is halfway towards our final goal of 121.000 Euros. Marina is about to begin the next stage of treatment, but there is still a large sum to generate. We hope that the powerful creative message behind our goal is enough to inspire some to help in any way they can. So much passion, preparation and positive energy has gone into the production of this unique collaboration. You’re in a position to make a difference to a family in desperate need, and help a small group of people rebuild their future. If you would feel kind enough to donate anything, even 1 Euro/Dollar would increase Marina's chances of survival and will give hope to her family without a voice in this desperate situation." Mitch comments: "The band is called MENACE, but to me, it is more than just a band or a solo project. It is the result of my life's work. It's a concept that has been in production for some time with most of the songs and intense work done in the last two years. 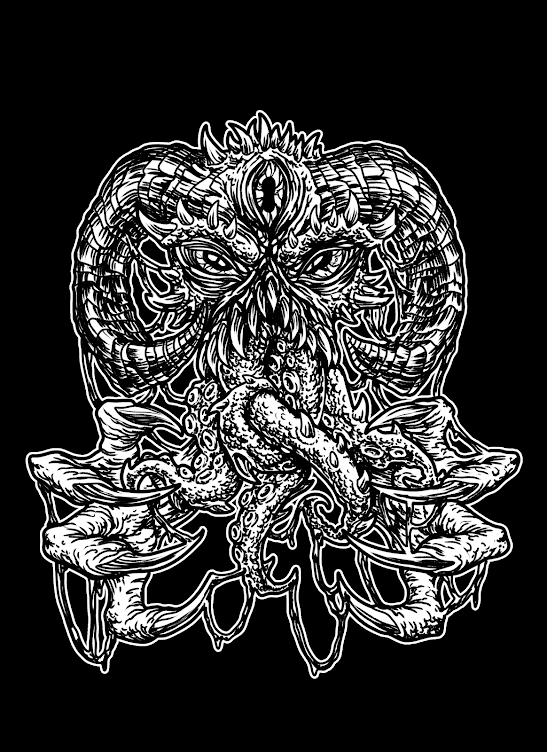 The initial idea for MENACEbegan with a plan to work with Max Cavalera (SOULFLY, CAVALERA CONSPIRACY) and drummer Brann Dailor (MASTODON). Although Brann recorded two songs initially, his responsibilities with MASTODON didn't allow time for such an intricate collaboration. In fact, we all became incredibly busy and as a result, new directives evolved, and to achieve my goal for MENACE I needed to see the album through myself. 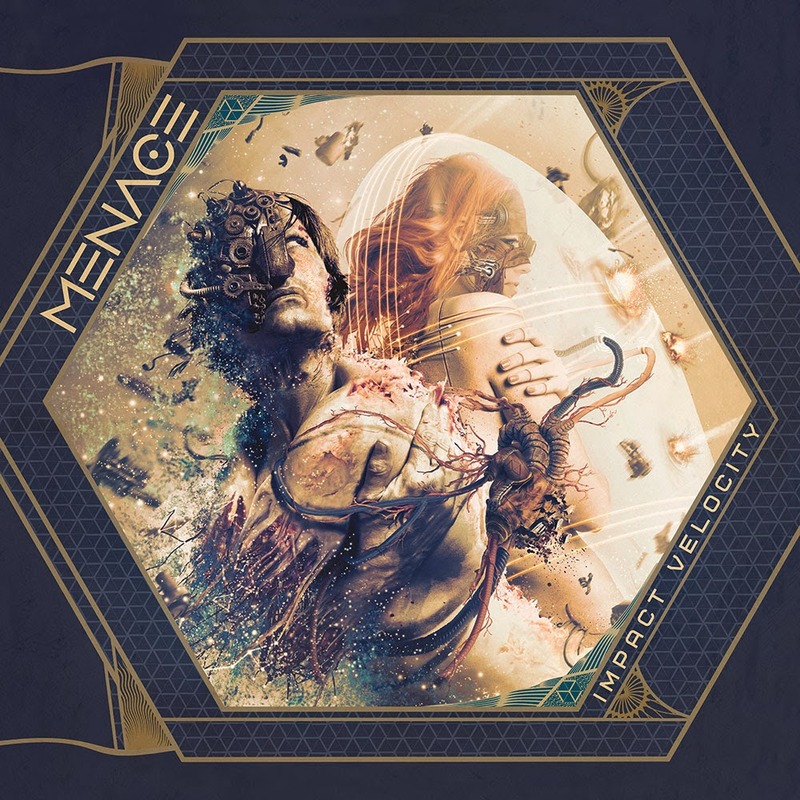 "MENACE is the old meeting the new; heavy and melodic, descriptive and adventurous, epic and futuristic, carnal and primitive, and so on. MENACE brings unrealized dreams closer to fruition. It is about overcoming loss and hardship, and a combination of many interests, including spiritual philosophy, psychology, science, physics, theatrics, the supernatural, the paranormal, film, poetry, photography, art, sculpture and video; the things I've focused all my energy on over the last twenty years. It's an organic meets technological approach to exploration and self discovery through a direction I term audio-installationism (A.I.). Harris concludes, "Those familiar with my previous work will be in for a surprise and should expect the unexpected, but I'm a firm believer that even the most improbable dreams should be explored. MENACE is a statement in itself, a way of saying that there is always a way forward, no matter how difficult it seems. If you are still alive, then there is still something to achieve."